Shia militias say they have launched their first battlefield operations in the Iraqi-Kurdish offensive to recapture Iraq’s second city Mosul from the Islamic State. 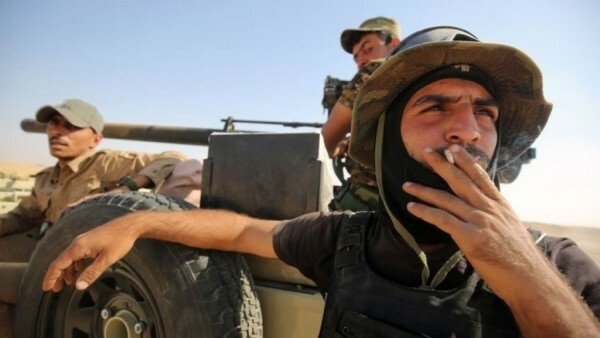 The Popular Mobilisation Units moved into 10 villages in the first hours of the operation near Tal Afar, 55 km (34 miles) west of Mosul, according to spokesman Ahmed al-Asadi. “This corridor is considered the main artery of the ISIL [Islamic State] terrorist organisation between Mosul on one end and Raqqa in Syria on the other,” said Asadi. The Iraqi-Kurdish coalition and its foreign supporters, including the US, have been concerned about any significant PMU involvement in the military operations. The Shia militias have been accused of sectarian treatment of civilians, with human rights organizations accusing the groups of abuses. The US is also wary of Iranian leadership of the militias. Conversely, Tehran has been critical of the Mosul offensive, denouncing “foreign involvement”. On Wednesday, Foreign Minister Mevlut Cavusoglu emphasized that Turkey will “take all precautionary measures allowed by international law” if the militias threatened Turkey’s security in Tal Afar. Entering its third week, the Iraqi-Kurdish offensive has paused on other fronts. Advance units of Iraqi special forces are within 4 km (2.5 miles) of Mosul to the east, but they have held up to await coordination with other troops and movement elsewhere. After taking villages in the first days of the offensive, Kurdish peshmerga have surrounded the Islamic State in Bashiqa, 12 km (7.5 miles) north of Mosul, for more than a week. To the south, the Iraqi army and federal police are still 30 km (19 miles) from Mosul. NextUS Video Analysis: Will Clinton’s E-Mails Lead to President Trump?